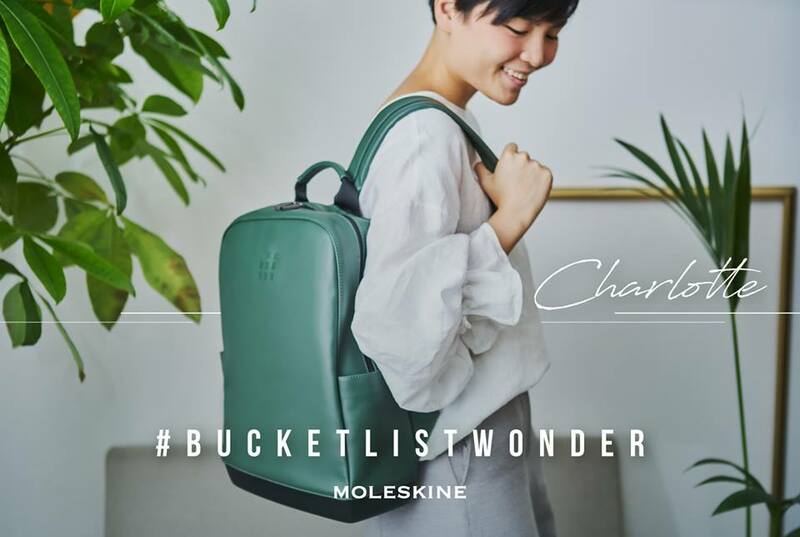 Charlotte Lam is a creative Director, photographer and founder of fashion selected shop. She likes to write down her busy schedule and inspiration from daily life in her beloved pocket-sized notebook. Other than notebook, she also puts her laptop computer, camera and girl essentials in her bag. 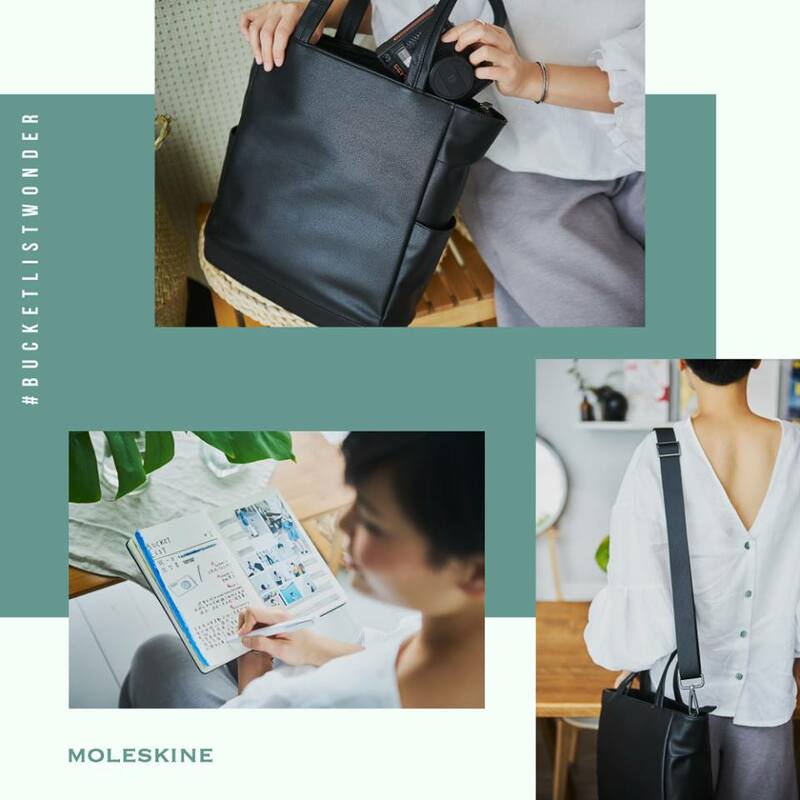 The large, lightweight and simple Moleskine Classic Bag Collection is her recent favourite! Do you have a habit of using notebook to jot down your anecdotes? "Notebook is my essential item for every day travel. My to-do-list, ideas on fashion design and creative art are all written down in my personal notebook." "I like to hold a notebook on hand. It makes me feel good and I can also read what I have marked anytime." As a fashion lover, what kind of bags do you prefer? "Simple design and mono colour. Also large in volume and lightweight. " 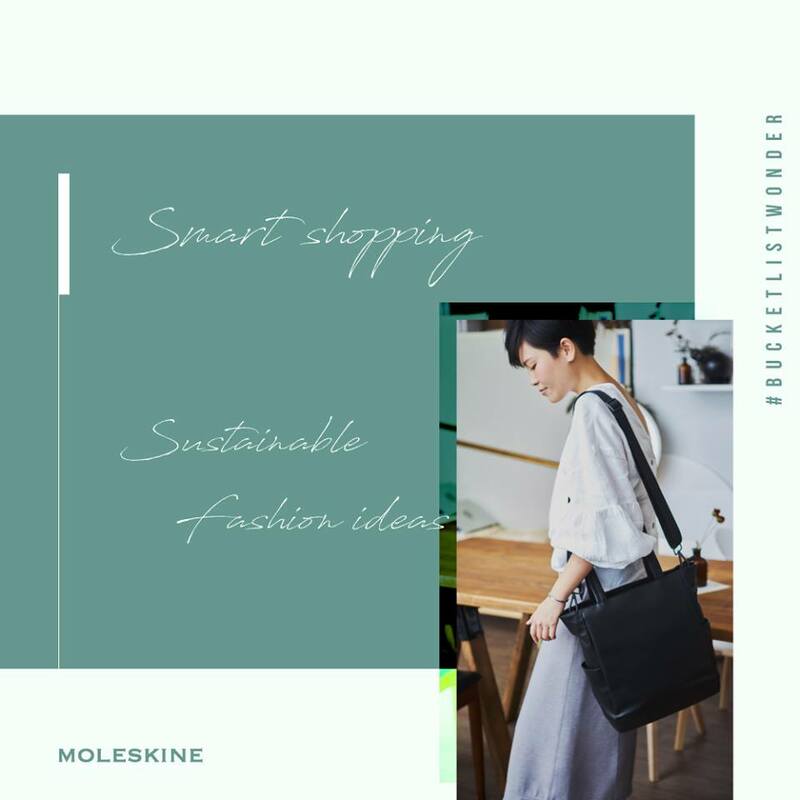 "As I need to carry many things along with me every day, I prefer handbags or backpacks in large volume and lightweight. I also like mono colour clothing, so I like simple bags to mix-and-match." "Casual wear, boyish style or romantic and elegance style such like ladies in Paris!" "I am just Charlotte Lam!" "I think everyone is unique and have their own styles. Like me, I am living in Charlotte's style now!" What makes you start sharing your daily look by creating #whatcharlottewears ? "I treat fashion as one of my favourite hobbies. I love to know anything about fashion and mix-and-match my clothing every day. I even start to design my own collection." "Besides, I am a photographer. I like to take pictures of my #ootd and share with other fashion lovers. " You can continue sharing your daily look online, but why you would also like to publish a fashion book? "Things online are easy to be deleted. A book which you can hold on your hand and read anytime makes me feel good. More, I like reading since I was young. That makes me want to publish a fashion book to let others know my fashion ideas." What outlook means to you? "I think what you decided to wear every day represents your feeling. It also affect how others think about you." Why you emphasis the smart shopping idea? "If you can find your own fashion style, and also knowing your advantages and disadvantages on body shape, it doesn't take too long for you to decide your daily look." "You don't have to buy lots of clothes, but only those suitable for you. You can also be fashionable by mix-and-matching!"